It’s no mystery as to why Toyah Willcox, who recently celebrated her 60th birthday, looks and sounds amazing. “I don’t drink, I don’t overeat, I drink lots of water and en route to shows I travel alone so I don’t have to speak to anyone,” said Toyah, who is visiting Inverness later this month. Her show at The Ironworks, Inverness, on Saturday April 27, is one of four Scottish gigs she is undertaking as part of her Thunder In The Highlands Tour. “It must be at least 10 years since I was in Inverness, that time starring in Steve Steinman’s Vampires Rock,” said Toyah, who is celebrating a landmark anniversary this year. It’s 40 years since her music career took off and she released her first single and studio album. She, and her full electric band, will play tracks from it at the show, which celebrates her hit singles, album classics and fan favourites. “The show will see me travel through punk, new wave and into the present day which results in a pretty high-energy show,” said Toyah. There’s also a chance to hear tracks from her latest release, a reworking of The Court Of The Crimson Queen, which also features new tracks and goes on sale tomorrow. “It has new material penned by myself and my co-writer, Simon Darlow. “Simon was in The Buggles and wrote Slave to the Rhythm for Grace Jones. Toyah can be described in several ways, ranging from punk princess to rock star, cult stage performer, film and theatre star. Charismatic and often outspoken, but much loved, she’s become one of Britain’s iconic household names – an award-winning rock legend as well as an adored stage/screen actress and music composer. In a career spanning more than four decades, she’s amassed 13 top-40 singles, recorded 24 albums, written two books, appeared in more than 40 stage plays, acted in 20 feature films and presented hundreds of television programmes. “I’ve never really stopped touring and been on the road solidly since 2002,” she said. “I do have a home, but I love my work and I’m in demand, so really don’t think differently about it. It is what I know. “I have a studio in my house and spend at least two hours a day physically as a musician and a lot of writing comes out of that. Toyah was at the forefront of the punk movement, a movement she says is still going strong. “Punk for me was a phenomenal experience, it was a place where I felt I belonged, and I feel very blessed and lucky to have had that,” said Toyah. “There was a political side to punk which I never understood, but there was also a creative side to punk that allowed everyone to be involved, and walked away from the ‘corporate-ness’ of music. 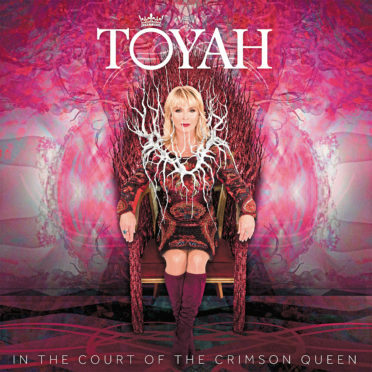 Still entertaining and always watchable, Toyah clearly thrives on the live music scene. “What is so exceptional about this particular period in time, is that there’s never been a time like it in the whole history of my career. “You seem to have to be able to embrace new technology and new attitudes as we seem to be rewriting the rule books constantly and have a lovely new generation who are, perhaps, cleansing out very old ideas about who and what men and women are; who and what cultures are, in a very good way. The Thunder in the Highlands 40th anniversary Scottish Tour visits The Ironworks, Academy Street, Inverness, on Saturday April 27.